© PX Human 2018. All rights reserved. Funded by S.U.C.C.E.S.S., the Immigrant Settlement & Integration Program (ISIP) assists immigrants, refugees, and their families with learning about life in Canada, developing English skills, finding employment and getting involved in the community. Creating a complete digital solution for the ISIP team that can work with all ISIP offices with a system that can migrate part of the client base to the online space. The CRM is needed to cater to the specific needs for ISIP, while the e-learning platform will need to be robust. 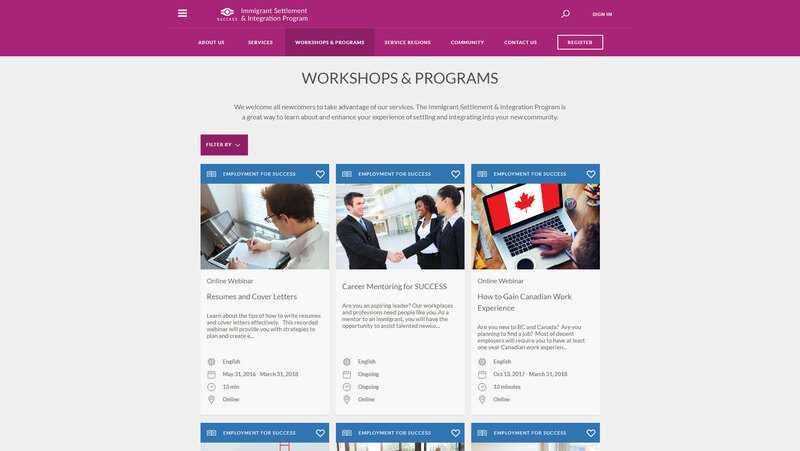 With our experience with Moodle and Joomla, we set to create an e-learning platform and client management system that facilitates ISIP staff to offer multiple services to clients in British Columbia. 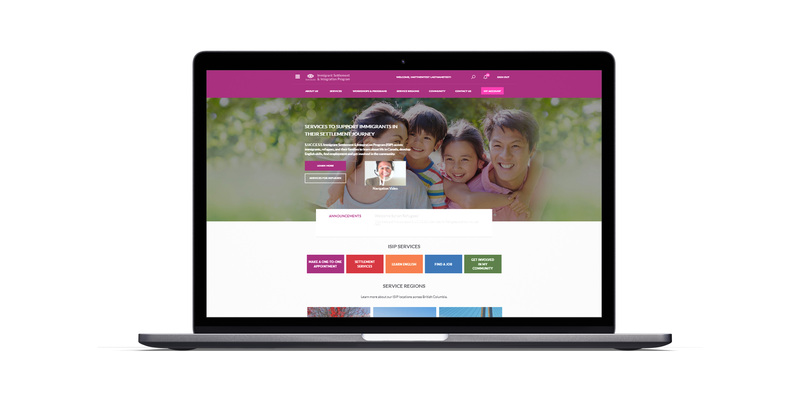 To allow ISIP clients to receive more personalized services, we customized the online appointment system and worked with ISIP staff to create a client management flow that fits their needs. We focused on user experience to ensure that clients can find the answers and get the help they need. To make it easy to navigate and eye pleasing, the comprehensive site structure is balanced with a modern and clean look. Users can easily identify and find the services they are interested in by following the color-coded services in each section. Each service area is laid out systematically and is easy to navigate through. Each of the community programs have been color-coded for quick and easy identification. 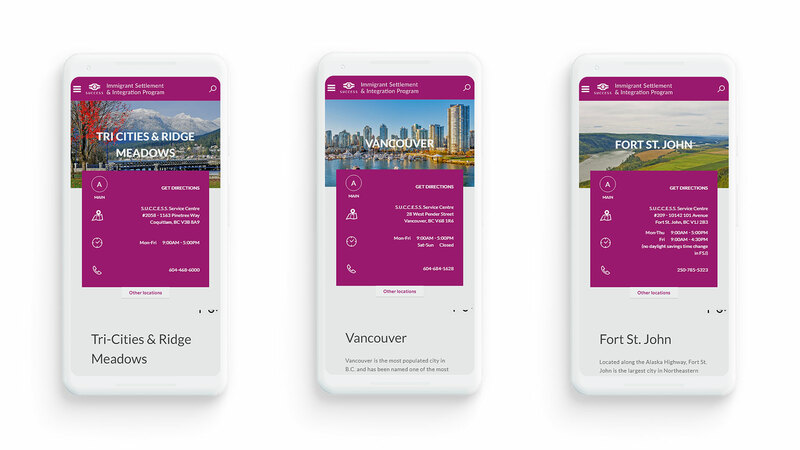 We created inviting colors with a masonry layout for newcomers in Canada to share stories and experiences with each other, giving them human connections before landing in Canada. We integrated Moodle with Joomla for a seamless UX experience. The combined product makes the ISIP platform complete with e-learning capability and content management functions. The layout is simple with an intuitive system for internal operation. We built a custom CRM to manage client registration, client requests and one-to-one appointments. 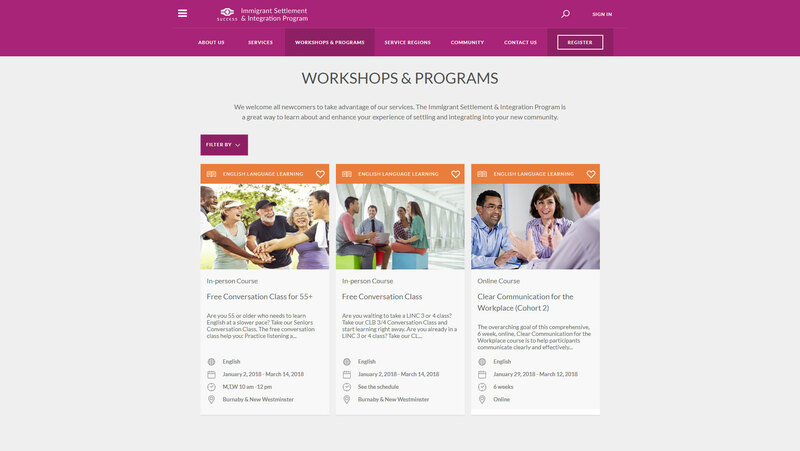 We also built an appointment-based one-to-one communication between clients to easily manage appointment with clients and facilitate scheduling with ISIP staff across 6 services regions in BC. Since inception, ISIP has served over 1,400 users. 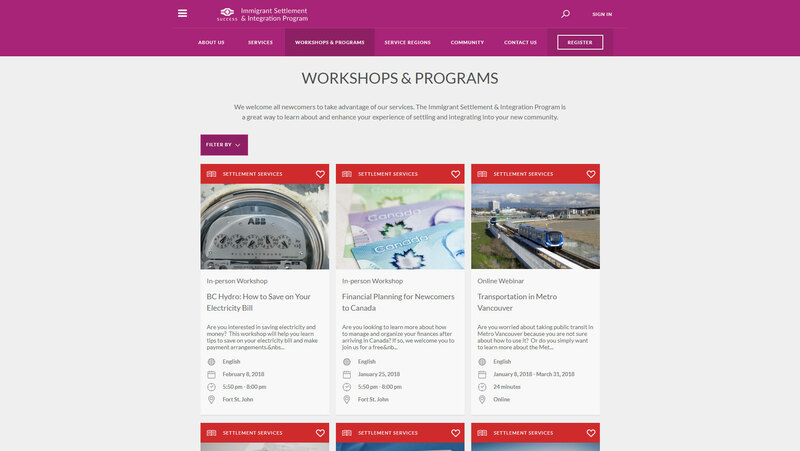 The ISIP web platform, brings its services into the digital age, allowing ISIP to serve newcomers throughout all regions of British Columbia, including remote areas, allowing more opportunities to newcomers for its services. © 2018 Pixel Human. All rights reserved. Please contact our sister company ECD Graphics for branding services.